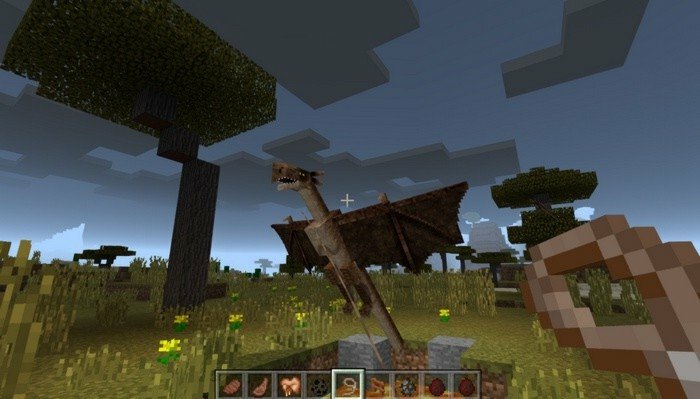 Tameable Dragons is a cool addon for Minecraft PE that allows you to tame and raise a dragon. 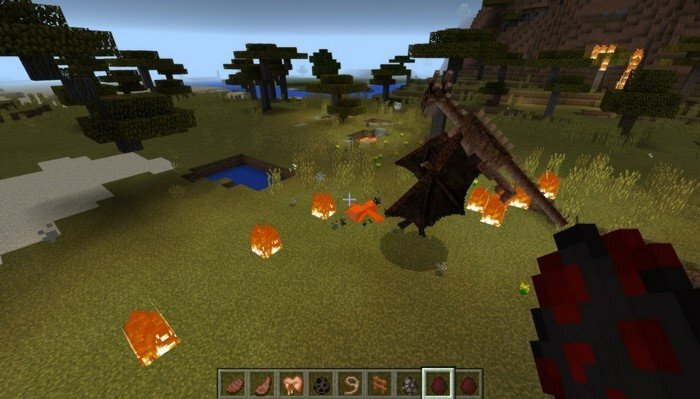 At first, you will need to find a baby dragon, try to search it the caves, because they will replace bats. 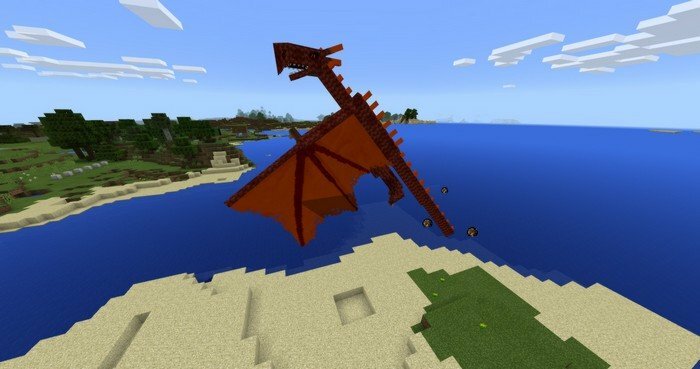 After you find one, feed it a cooked meat until the hearts will appear above the dragon's head. If you want him to grow and become stronger, try to give him some more meat. The adult dragon has much bigger size than the wild one and will shoot fireballs into your foes. 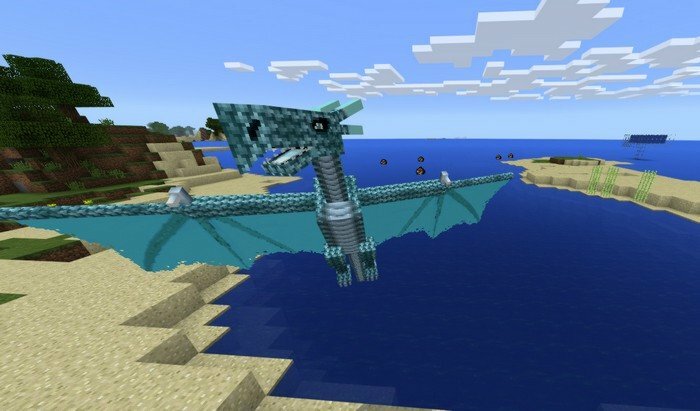 Nether and Ice dragon are two new skins for the mod, it's just cosmetic changes and they're not affecting the gameplay. You can tie a dragon to the fence using lead, they are flying around randomly, so it will make the taming process much easier.